IVFdaily is making a few changes during 2019. 'Backdoor' eugenics: Are IVF and gene therapy an asset for humanity, or an ethical threat? What Kind of Returns are Monash IVF Group Limited (ASX:MVF) Shares Generating? No problem- just subscribe to reviews and get summaries and opinions on recent publications delivered by email weekly. No problem- Goto the IVFCPD education modules and select those of interest. Each module with learning objectives, review and journal links, question for completion and proof of participation and online documentation. Consider these to be like an in-service program. Ask your staff to complete the CPD exercises as part of their training program. Each module should consume ~30 minutes of self directed learning. 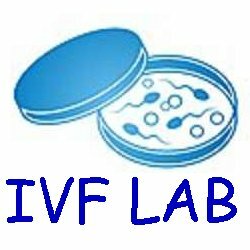 May be of interest to IVF Nursing, counsellors, medical and laboratory staff. Ask your clinical management or pharmaceutical representative to support you enrollment. Stress Relief: Continuous Culture in a Low Lactate Media Improves Euploid Rates. How to make a baby (in a lab) - Nassim Assefi and Brian A. Levine [Clients or training video]. © FertAid Pty Ltd. 2002 - 2019 - all pages. All rights reserved.